An optimizing central bank that cares only about inflation and unemployment because it does not find itself at the zero nominal lower bound and does not fear engaging in nonstandard monetary policy will engage in full fiscal offset: it will take care to make sure that if fiscal policy becomes more stimulative then it will make monetary policy less stimulative by the same amount. What Brad of course here is expressing is the so-called Sumner Critique – that is the fiscal multiplier will always be zero if the central bank directly or indirectly targets aggregate demand either as a result of an inflation target, an NGDP level target or for that matter a Bernanke-Evans style monetary rule. Brad has a nice little model to illustrate his point. In some ways Brad’s model is similar to Nick Rowe’s game theoretical discussion of what Brad calls “full fiscal offset” (see my earlier post on the topic here). My simpler IS/LM+ model illustrates the same point (have a look at the model here). … this argument breaks down at the zero nominal lower bound. At the zero lower bound the central bank does care only about inflation and unemployment. It cares as well about the magnitude of the non-standard monetary policy measures it must take in order to achieve its net monetary policy impetus value m.
This argument is somewhat harder for me to get. The Zero Lower Bound only exists as a mental construction in the heads of central bankers. Central banks can always ease monetary policy – even if interest rates are close to zero. That is exactly what the Fed and the Bank of Japan are doing at the moment. Furthermore, it might of course be right that “real world” central banks prefer not to use other instruments rather than interest rates and therefore prefer the government to “push” aggregate demand (hence that is why Brad argues that the “instrument” should enter into the utility function of the central bank). However, that would still be monetary policy (rather than fiscal policy) as government spending would only impact aggregate demand/NGDP because the central bank chose not to offset the increase in government spending. If the central bank on the other hand used for example a money base rule or McCallum’s MC rule where the policy instrument is a combination of the exchange rate and interest rates then the central bank would not pay any attention to the ZLB. The “ZLB world” has beeen constructed as a way to justify fiscal policy. 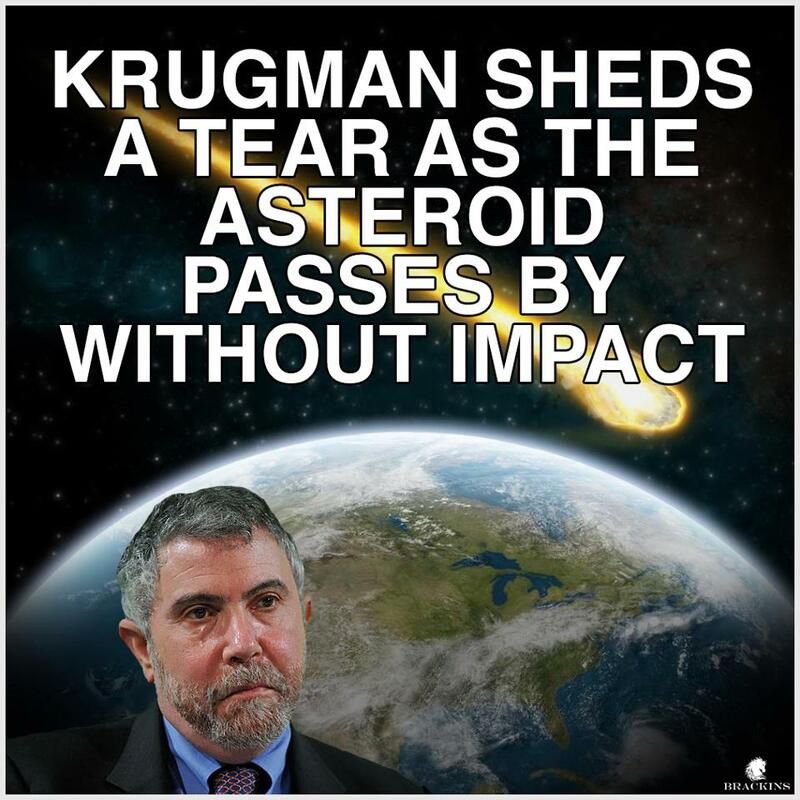 And in that sense, Krugman has been guilty of throwing economics back into the “dark ages”. The costs have been high because it has been a source of distraction and an excuse for Central Banks to sit on their hands or for delaying action! The problem is that the policy measures central banks need to take to provide further monetary stimulus at the ZLB are policies central banks don’t like. Undertaking them therefore enters CB objective functions with a minus sign, and breaks the zero-multiplier principle. You can say that central banks are silly to so regard stimulative policies at the ZLB. But that does not mean they do not do it. In that case, if a concerted central bank “bashing campaign” is undertaken (and the blogosphere is a convenient media) maybe that ‘view’ can change. Then again, providing them with the “excuse” of the ZLB (a.k.a. “LT”) is counterproductive. I do in fact like the fact that you include a dislike of non-interest rate policies in the CB’s reaction function as it makes it clear that this is a problem with central bankers’ understanding of the world rather than an inherent problem of the workings of monetary policy. In that sense the ZLB problem is a mental problem for central bankers rather a real problem – an institutional problem rather than an economic problem. Therefore the solution to me is also that central bankers should learn that there is no ZLB problem rather. Furthermore, I strongly doubt that the answer to central bankers’ “mental” problems is a more activist fiscal policy – after all our experience with fiscal policy makers is certainly as bad as the experience with central bankers. Furthermore, the experience from the euro zone clearly is central bankers not only has problem quantitative easing at the ZLB, but similarly has a problem with fiscal easing at the ZLB. Hence, the ECB has clearly demonstrated an eagerness and an ability to “punish” fiscal easing. The ECB’s politicization clearly is unfortunate, but I again this the world as it is. The ECB has a very strong dislike of keynesian style fiscal policies. Shouldn’t we included that in the cb’s reaction function as well? You have in mind a very simple proportional control model. Under such a reaxtion function, yes there can be persist errors, but if the CB gives any weight to integrating misses over time, they will eventually enact the correct policy measure. So, what emperics do you have to support your POV? Fed officials appear sensitive to persistency. The right tack though is neither of these. The Fed does not appear to have lost control, they make policy announcements and those announcements appear to have immediate effect in asset markets. They have control of AD on the nose. The problem is that they appear content to accept growth as is. Until they are willing to see GDP growth above the trend rate, we won’t catch up. If we don’t catch up, there won’t be employment growth fast enough to reduce unemployment until expectations are so thoroughly reset. How long will that take? Not “as it might be” but rather as it could or even should be. Let´s get a bit out of the ‘positive analysis’ and go into the ‘normative’ side. We don´t have to accept what “is” at face value and keep our options narrowly circumscribed just so the “constraint” (“Central Banks don´t like…”) is not violated.